Collinite 476 is often described as the best wax on the market for its price range. Signature carnauba shine, heavy-duty protection and ultimate durability After doing a full car polish, you want to protect that paintwork with the best car wax you can. Collinite #476 Super Doublecoat is one of the most durable car waxes we have here at Blok 51. 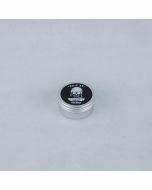 It doesn’t come with an amazing scent like some of our waxes but once you see just how good the results are and how long it last you will forgive it. #476 is a Carnauba based wax and its a true paste wax and contains absolutely no cleaners so by applying multiple thin layers you leave a finish which is more durable than not just any wax, but just about any sealant on the market as well. Collinite claims one application will last a full 12 months come rain, snow and sun! Collinite have managed to manufacture a wax so extremely durable it becomes the ideal choice for winter, throwing off the worst weather with ease. 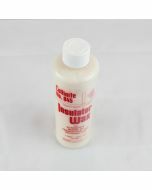 Collinite should be an essential part of any detailing kit. It’s used by detailers all over the world. The protection of collinite 476 makes car washing and valeting a breeze. Any car was takes half the time as the dirt simply slides off with the aid of any good shampoo. Using a soft foam applicator simply press the foam against the surface of the wax, twist the applicator half a turn, and you should have enough wax on the pad to cover around half a panel. Apply the wax to the paint with the applicator using straight lines if you can. If you’re 100% certain that the paint, wax, or applicator contains no contaminants, or dirt, you can apply in circular motions without the fear of introducing any swirls to the paint. After allowing the wax to haze you can buff off the excess gently with a soft microfiber cloth. Car, truck, bike, RV, boat, aircraft, personal watercraft, snowmobile, ATV, tractor/farm equipment, golf cart, snowplough. Exterior gel coat, fiberglass, clear coat, single stage and lacquer paints and highly finished wood. NOT recommended for rubber, non-skid, black trim, vinyl, glass or non-painted plastic.